Ford followed up the Squarebird’s three-year stint with the restyled “Roundbird” from 1961 to 1963. Technical highlights included an even bigger engine as Dearborn’s FE V-8 was enlarged to 390 cubic inches in ’61. New for 1962 was the optional “M-code” 390, a 340-horsepower V-8 crowned with three Holley two-barrel carburetors. M-code T-birds were rare. Only 145 were sold in 1962, along with a mere 55 in 1963. A Thunderbird convertible paced the Indianapolis 500 in 1961 and two new models debuted the following year. The first, a Landau hardtop, incorporated a standard vinyl roof and simulated walnut interior appointments. The second, the more famous Sports Roadster, helped ease purists’ pains by covering the backseat with a streamlined tonneau cover. Dazzling Kelsey-Hayes wire wheels also were included in the deal. 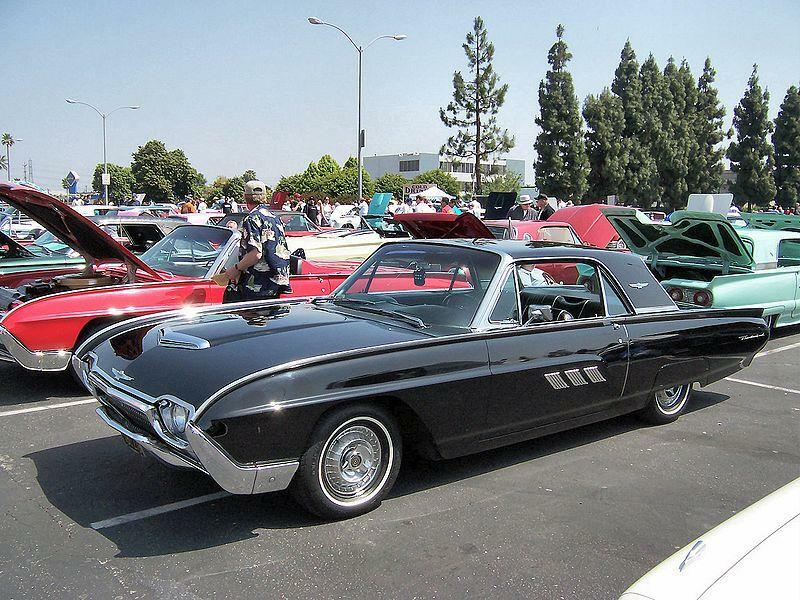 T-birds were priced at a hefty $5,439 in 1962, and $5,563 in 1963. Sports Roadster production was 1,427 in 1962, 455 in 1963.